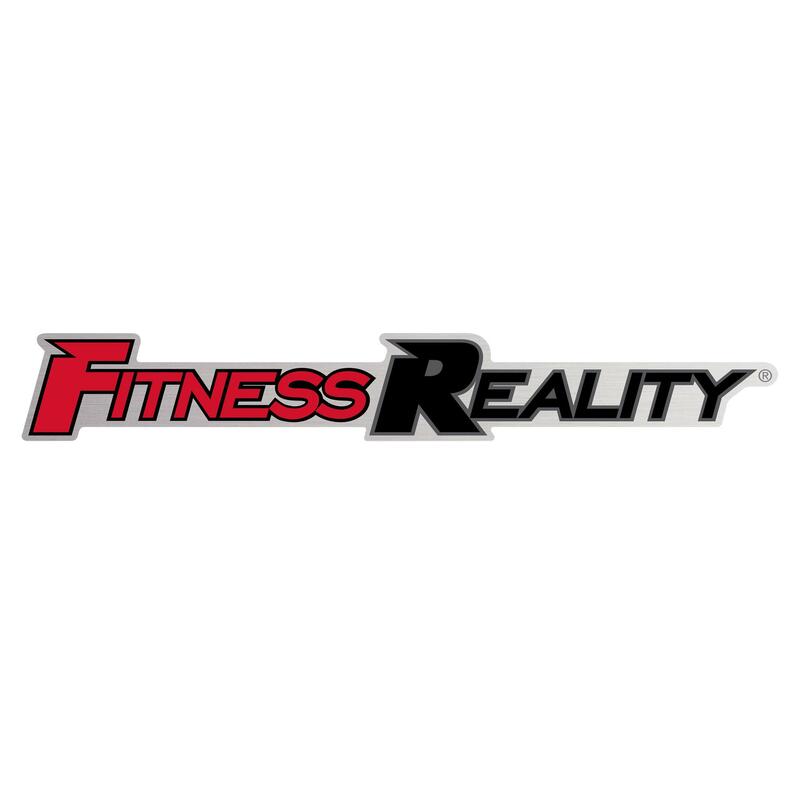 Fitness Reality. Real People. Real Results. 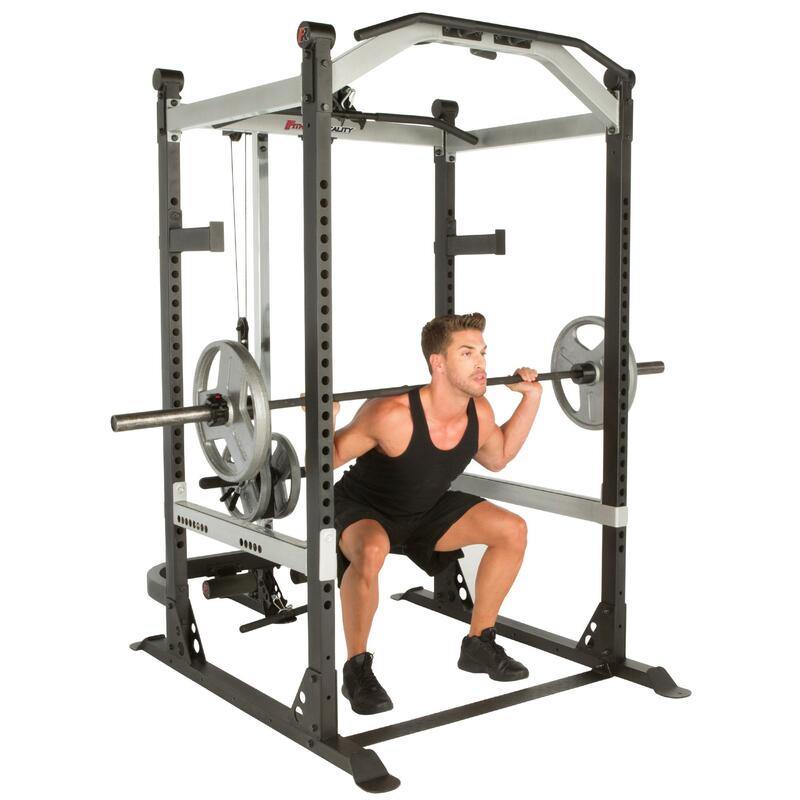 The Fitness Reality X-Class Olympic Power Cage can handle up to 1500 lbs of serious weight capacity. 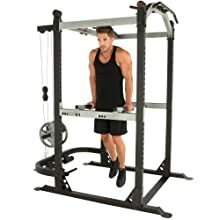 Over 24 exercises can be performed and the heavy duty tubular steel frame construction will provide strength and durability though many workouts. 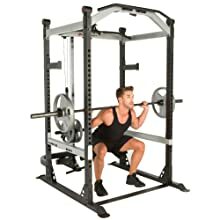 There is plenty of space inside the cage for wide stance squats and an additional spotter for safety. The multi- grip pull up bars offer multiple hand positions to enhance back, shoulder and arm muscles. 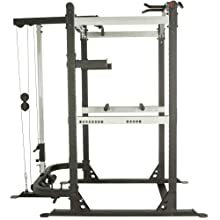 In addition, the Fitness Reality X-Class Lat Pull Down and Low Row Cable attachment is a great add-on for building your upper back, shoulders and arms muscles. 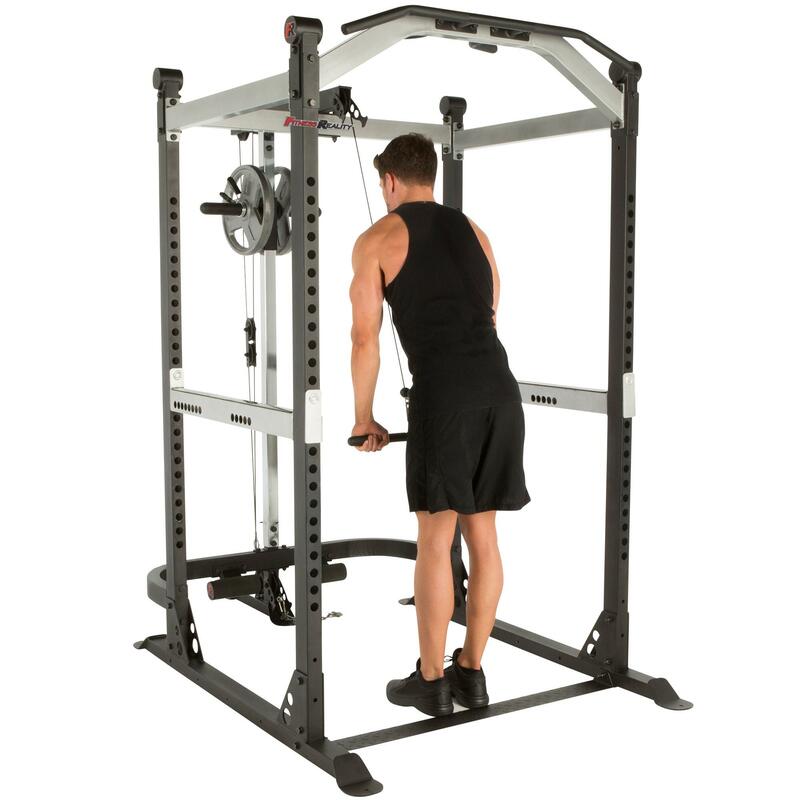 So get the strength workout you want with the Fitness Reality X-Class Olympic Power Cage with Lat Pull Down and Low Row Cable Attachment. 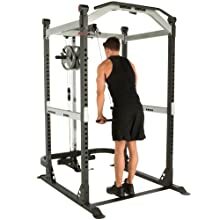 86.5 L x 52 W x 86 H inches ; 301 pounds. 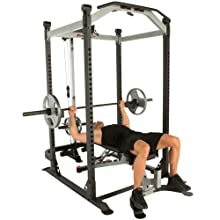 This item ships in 4 boxes, and may arrive separately. Warranty: 10 years frame, 3 years parts and 2 years wearable parts. 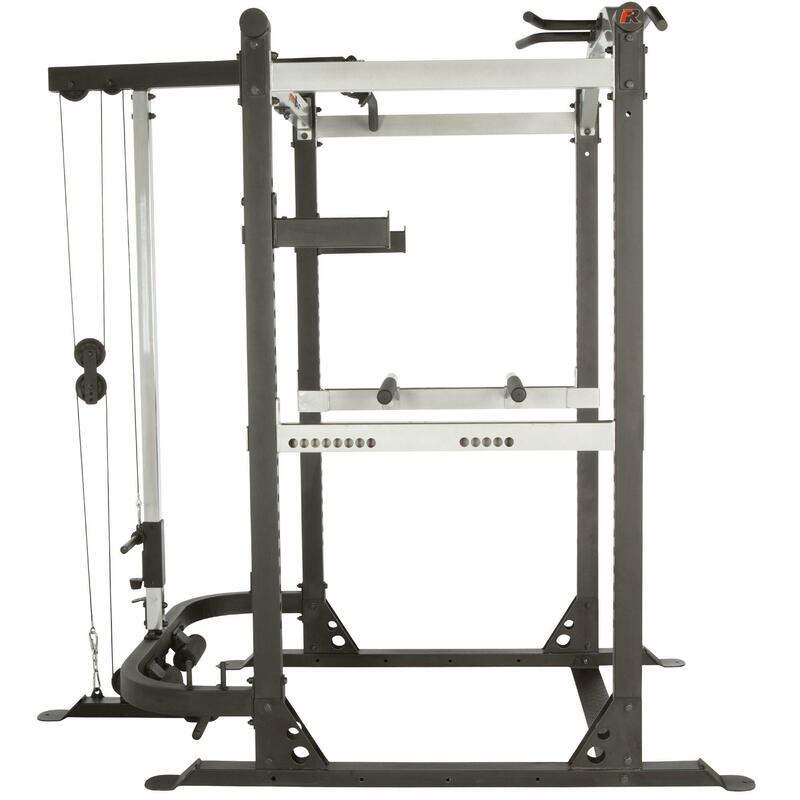 1500 pounds of real weight capacity. 2 inch x 3 inch tubular steel frame construction. 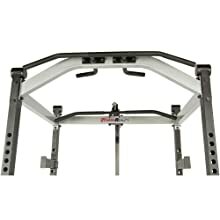 Lat Pull Down attachment has 360 lbs of real weight plate capacity with sasy glide 2” x 2” Chrome plated attachment post. 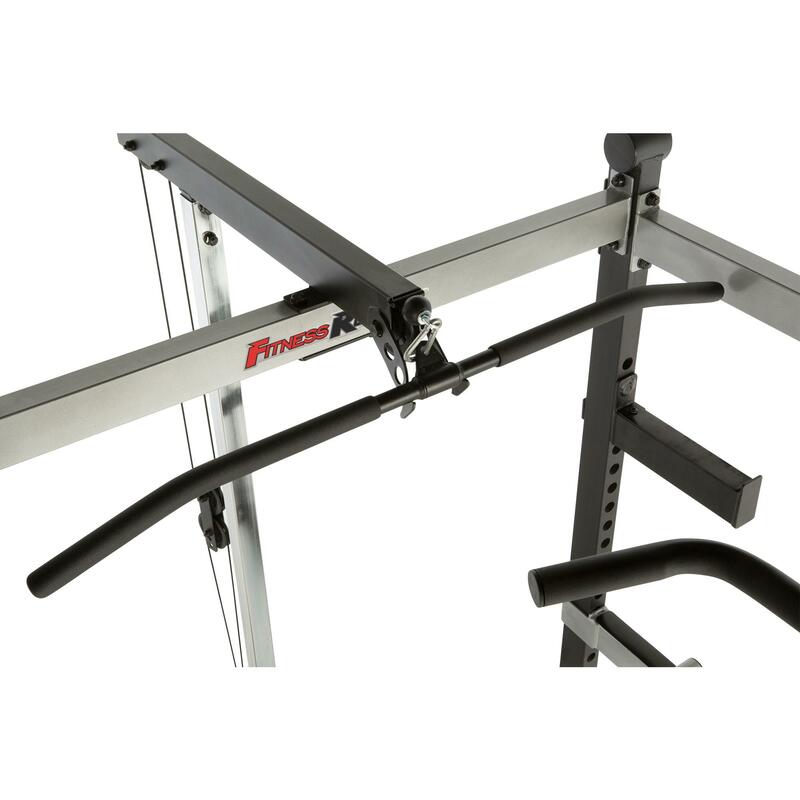 Included one 44 inch lat bar and one 20” low row bar with textured high density foam rubber hand grips. 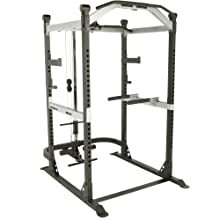 2 height position adjustable multi-grip chin up/pull up bars with a weight capacity of 600 pounds. Two adjustable 2″ x 20″ high density rubber grip dip handles with user weight capacity of 600 pounds. 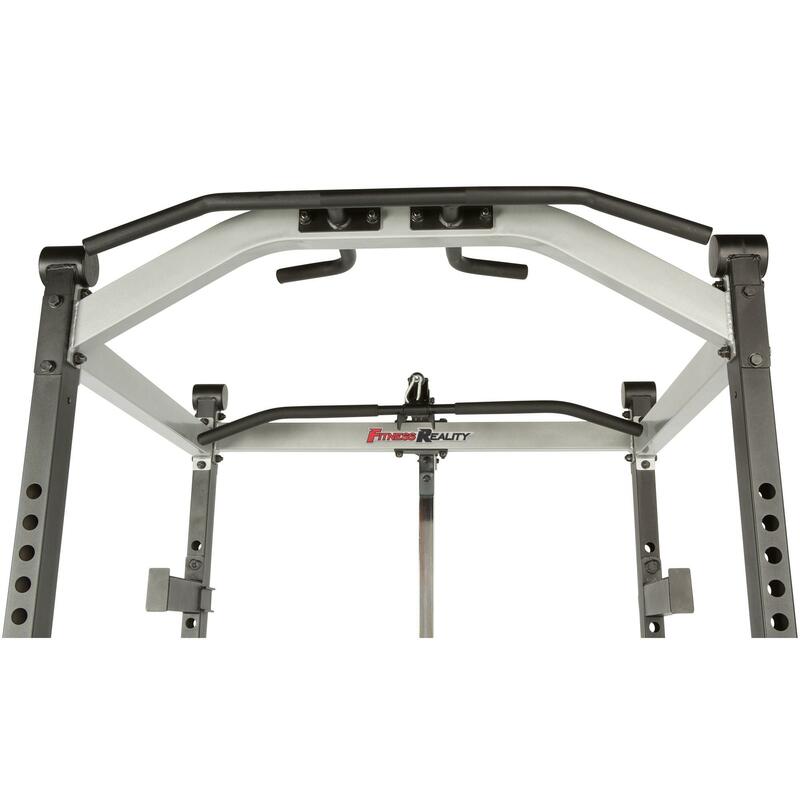 Two 11.5 inch safety bars with combined weight capacity of 1500 pounds and 25 adjustable height levels. 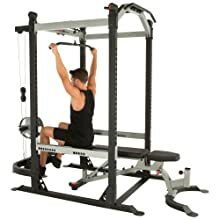 A BONUS pair of J-Hooks included. 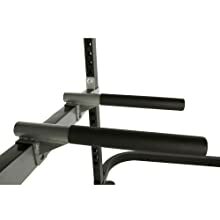 Safety bars are compatible with 7 feet Olympic bars. 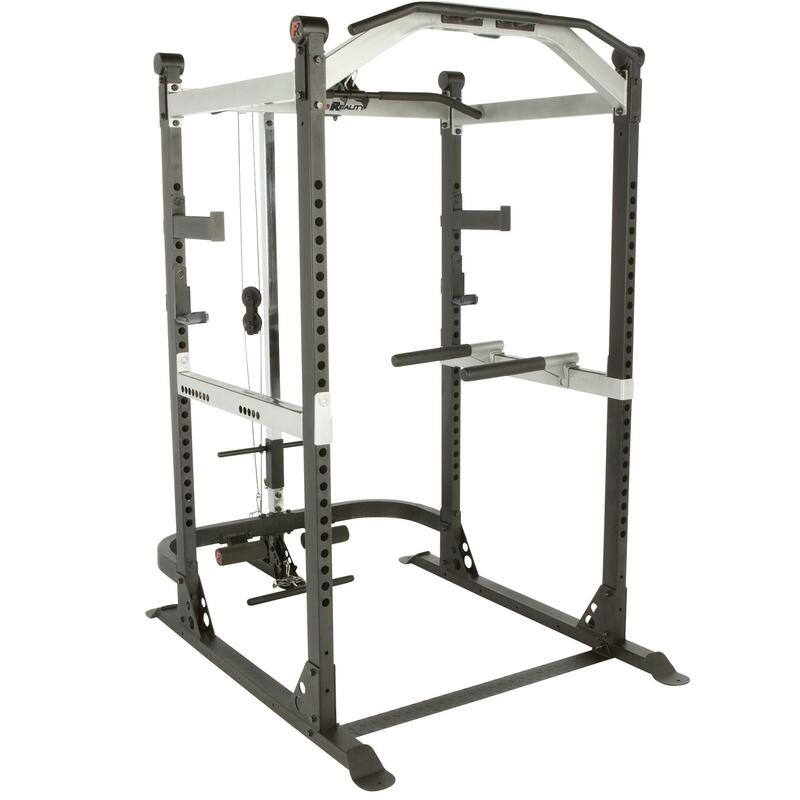 Expand the Power Cage by adding the optional Fitness Reality Utility Bench (sold separately). 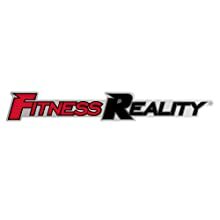 ADVANCED PRE-WORKOUT AND SHREDDING FORMULA: New Pre-Workout designed to power your intense workouts while also supporting your fat loss goals with 18 active ingredients. 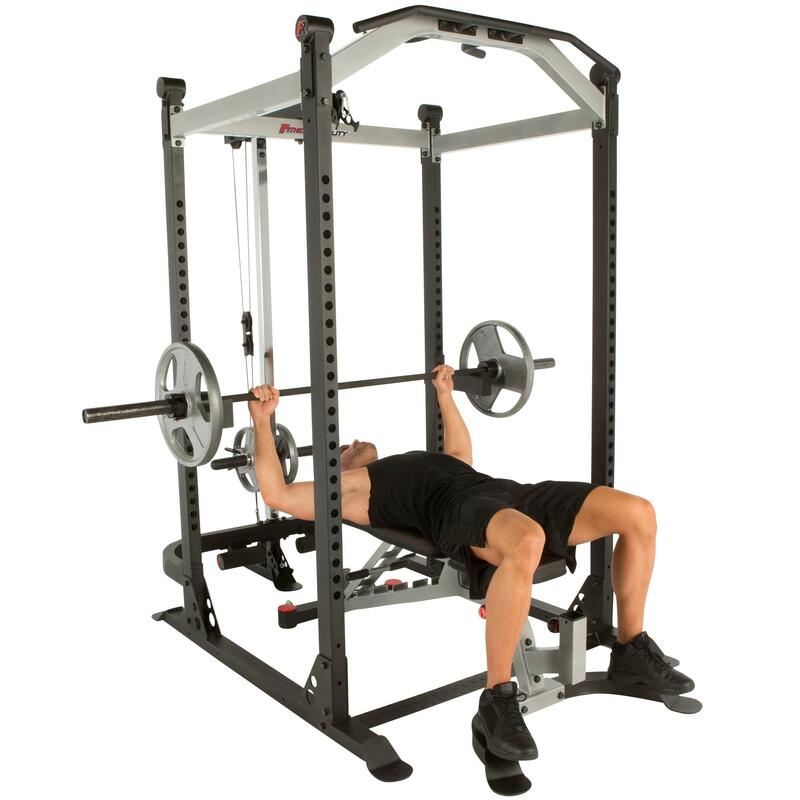 KEY INGREDIENTS: ENGN SHRED MATRIX of CLA, L-Carnitine, Coleus Extract, Yohimbe Bark Extract and Capsimax. MIND-TO-MUSCLE MATRIX of Toothed Clubmoss(Huperzine A), Alpha GPC, Choline Bitartrate, and L-Tyrosine. STRENGTH AND ENDURANCE SUPPORT from Beta Alanine, Agmatine Sulfate, Betaine and Caffeine from GREEN TEA. B VITAMIN COMPLEX of Niacin, B6, Folic Acid and B 12.